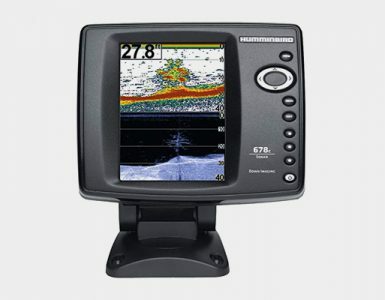 Humminbird 859ci HD: As a recreational fisher, there’s nothing better than being out there on the water. Away from the fast pace of work and city life, fishing serves as way to get back to a simpler kind of life. Being surrounded by the sounds of nature, the gentle rocking of the boat in the middle of a lake, the promise and anticipation of catching a trophy bass – all of these are reasons why I take the time to wake up early on my days off, load up the truck, and head for the water. But let’s not kid ourselves. Coming home empty-handed after a day on the lake is one of the most frustrating ways to end a weekend. This is the reason I have a Humminbird 859ci GPS/Sonar Fishfinder. Time is precious, and while relaxation is an integral part of fishing, the day is always more enjoyable when you don’t have to wait for hours between seeing your bobber start its familiar dance after attracting a hungry fish. Having a Sonar/GPS combo helps take the guesswork out of determining which location on the lake you should be spending your precious time. When choosing what type of fish finder I wanted to invest my hard-earned money on, there was a handful of variables that I needed to balance. I wanted a quality fish finder that was powerful enough to give me the information I was looking for, but I wasn’t willing to break the bank. I also wanted something that would be relatively easy to set up, but that over time could be tweaked to meet my personal preferences. 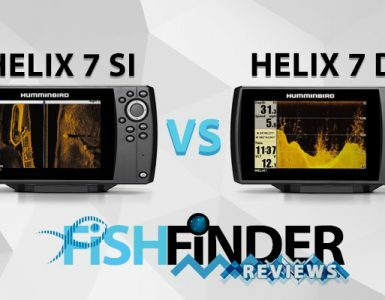 Currently there are only 3 or 4 companies that make quality fish finders, with a range of products that that cost from less than $100 to well over $1000. 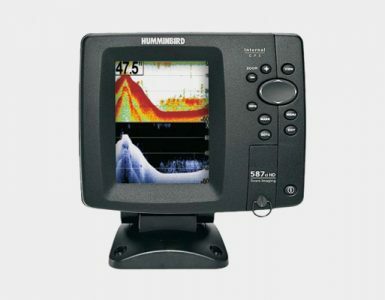 What really impressed me about Humminbird is that they have been making fish finding products since the early 70s, and have been at the forefront of sonar innovations the whole time. The reason I went with the 859ci model is because it offers many options typically available in the higher-end models, but at about half the price. The 859ci offers a dual sonar beam, along with Humminbird’s Switchfire technology. There are two main modes you can choose from, Max and Clean. The Max mode picks up much more detail, but on rougher days or in areas with a more complex topography the Clean mode is good at filtering out excess noise in the sonar signal, giving a clearer image. Because this unit is both a sonar and GPS instrument, it allows me to see topography and location at the same time, although it’s possible to view either option individually. Another detail I appreciated is that the screen is 7”. This size of screen is large enough for me to see details, but it’s still small enough that it doesn’t look like I’ve hooked a computer monitor up to my boat. Although I’m pretty mechanically inclined, I believe most people would not have a problem installing the unit correctly, and I like the rotating mount that comes with it.The screen has a bright enough LCD screen that it’s easy to see even in bright sunlight. One of the most impressive about the 859 is that it comes with way more options than a typical a fisherman would need. Believe me; I understand the child-like impatience for ripping open the box of a new toy and working it out immediately. But I’ve been pleasantly surprised to find out the in-depth options available after reading the operating manual. Probably, the most practical option is the ability to set pre-set views for the screen to easily-accessed buttons located on the right side of the unit. The screen is typically viewed in a split-screen manner, with one side showing sonar while the other side shows GPS location. It is possible to select only sonar or only GPS, which allows you to view a standard view, as well as a zoomed in view, simultaneously. It’s also possible to change the width of both split screens. I prefer to have the GPS at about 60% of the screen with sonar taking up the other 40%. This ratio allows me track the depth of my bait (and any nearby fish), while allowing me to navigate to previously successful locations. Having the ability to pre-set my views allows me to play around with the viewing setting while making my way around a lake without completely losing the views I most often use. I just hit the preset button and the view automatically goes back to the preset conditions. With this fish finding combo, it’s possible to color code the depths of areas on the map. I usually set shallow depths to a red color, while setting depths that I find the most fish in to a green color. While I know that Hummingbird offers units with better transducers and faster processors, I have never noticed a time when this unit performed poorly or slowly. At a price of around $600-$700, I consider this fish finder a major investment. Before purchasing the 859 I researched quite a bit, but I was still anxious to make sure I would not be disappointed spending this much money on a fish finder. To date, I have nothing but good things to say about this unit. I was able to get it installed without hassle. The controls of the unit are relatively intuitive, and along with a cursory scan of the operating manual I have been able to grasp most, if not all, of the available options provided. This fish finder has been a joy to use, while providing quality data in the form of sonar and GPS images. I find it capable of handling a wide variety of aquatic conditions, and it easily lets me know where the fish are. 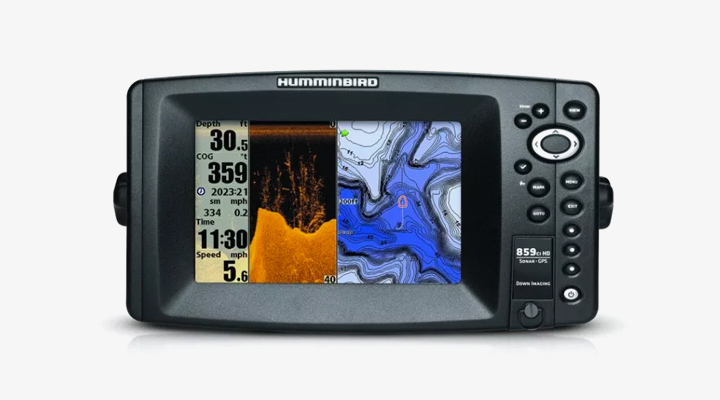 From what I hear, Humminbird has outstanding customer service, but I have never needed to contact them because my fish finder has never had a problem. You will hear no regrets from me on this purchase.